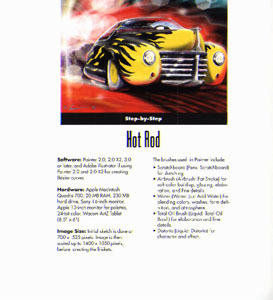 "Painting with Computers," the full-color step-by-step guide and showcase, Rockport Publishers. 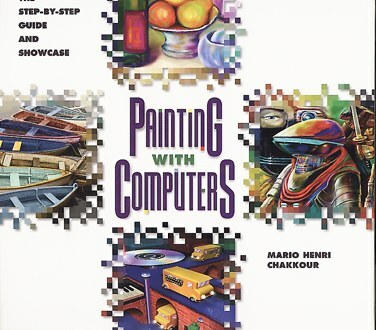 This hardcover book explores digital art techniques, each presented in step-by-step instruction and translates the familiar processes of painting, drawing, sketching and cel animation to the computer. (300+ color images) ISBN 1-54696-212-1. 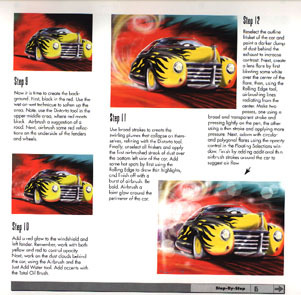 This book also includes an Interactive CD-ROM Production featuring tutorial movies, satire in the form fake software commercials, galleries and music produced and performed by the author himself.